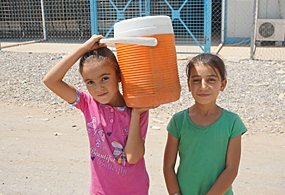 Note: Monthly pledges will be designated to support AFM’s long-term missionary presence to minister among these displaced refugee communities. One-time gifts will still be designated for support of refugee needs. Wherever we look in the world today, we see social, religious and political turmoil. Many people are fleeing their countries in search of sanctuary, and becoming refugees. Others are displaced within their own homelands, and are known as Internally Displaced Persons (IDPs). 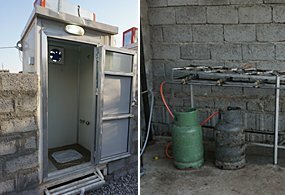 Refugees and IDPs survive terrible ordeals: torture, upheaval, perilous journeys, and the loss of everything and everyone they knew. Often, they are fleeing violent conflict. They are persecuted because of their race, ethnicity, nationality, religion, social group or political beliefs. Worldwide, such persons now number more than 51 million! 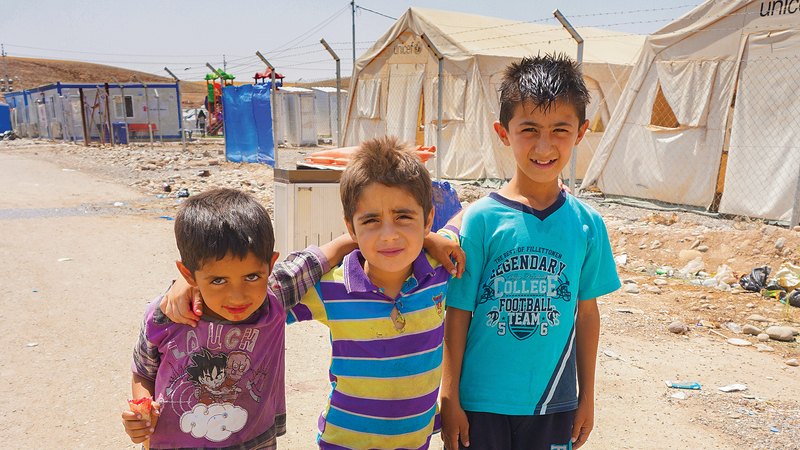 During the summer of 2014, more than 1 million people were forced to flee their homes in northern Iraq. Most were offered a simple choice by radical Islamist fighters—convert, leave or die. 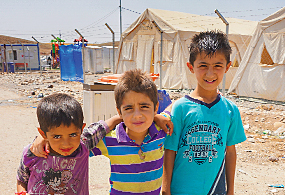 Today, more than 1 million IDPs have fled into Kurdistan, a region in northeast Iraq, where they have found temporary sanctuary. Many are living in schools, churches, church-yards and other public facilities. Many are Christians who were driven out simply because they bear the name of Christ. They cannot return to their homes, and they have no end destination for their journey. They are simply stuck in a form of limbo, and could remain in this state for generations to come. From the Scriptures, we know that Jesus Christ spent His childhood years as a refugee child in Egypt, driven from His home by murderous soldiers, and uncertain about when His parents would take Him back to Israel. 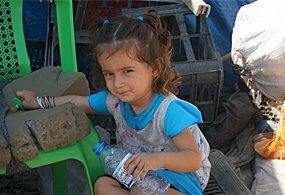 Jesus Himself knows what it is to be a refugee child, and to live with all the uncertainty, poverty and fears for the future that modern refugee children experience. Thus, Jesus is intimately aware of what modern refugee children and families are experiencing! History has taught us that people are most open to the Gospel during periods of turmoil in their lives. AFM has seen baptisms in refugee camps in Southeast Asia and in Africa, and from these baptisms there are front-line Gospel workers today. 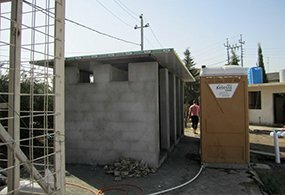 We have already started to minister to the physical needs of the IDPs of northern Iraq through a latrine and shower project for IDP families, but we want to combine this with ongoing ministry for the spiritual needs of the IDPs and their host communities. We invite you to share our vision and join AFM in bringing relief to refugees and IDPs. In ministering unto “the least of these My brethren,” we together will minister to Jesus Himself! It is time for us to decide our ultimate allegiance once and for all. 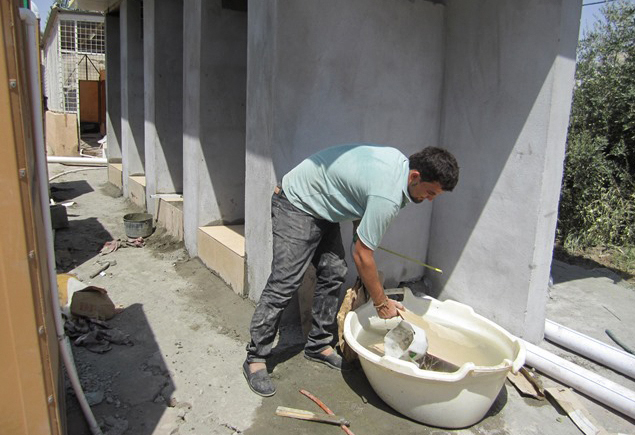 AFM raised funds to build facilities to meet the basic needs of Iraqi displaced persons (IDPs) and refugees through its newly created Refugee Ministry Project. SEE THE PHOTOS! It was truly humbling to experience such spontaneous generosity from people who are living day to day in such need, having lost everything in this world. SEE THE PHOTOS! With hundreds of thousands of others, Daravuth and his wife had fled to a refugee camp along the Cambodian-Thai border. Life in a refugee camp is hard, but for us it was an eternal blessing, because that’s where we met Christ. 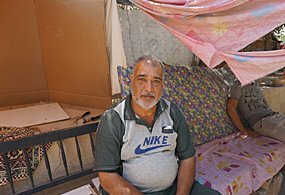 ISIS has forced more than a million people to flee for their lives, and most have fled into the Kurdish-controlled region of northeast Iraq where they are now living anywhere they can find space and shelter.